Mark and Mags bring you interviews from GenCon 2010. Mark talks to Ivan Van Norman with Outbreak: Undead. Mags talks to Kim Tollson of Queen Games. Mark talks to Luke Meyer about the upcoming Iron Tyrants. 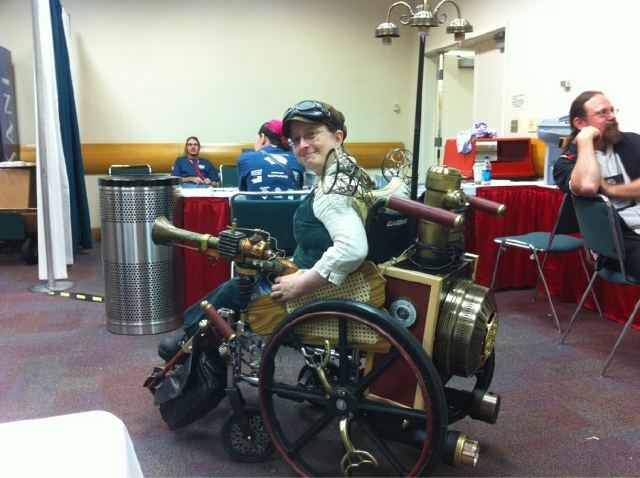 Mags talks Noel Meyer, artist and owner of the Steampunk wheelchair that Felicia Day tweeted about.